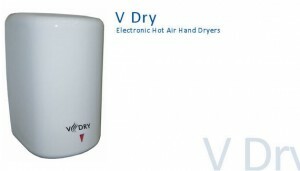 The V Dry hot air dryer is the new generation in commercial washroom drying systems. 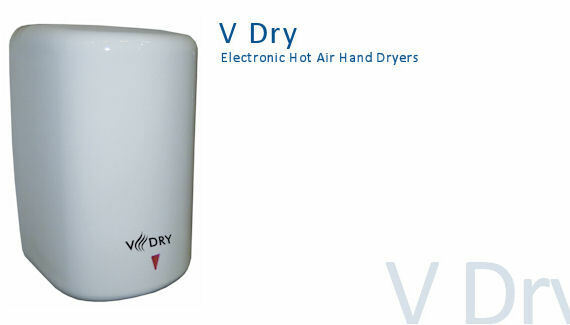 The V Dry is faster, quieter, more compact and uses less power than leading hot air dryers in the market today. 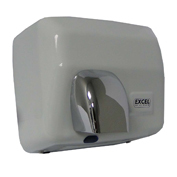 The V Dry also has a power adjustment feature which allows the user to set the unit to use the most practical and ecological friendly amount of power in the washroom. 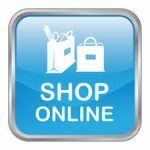 With a drying time of less than 10 seconds and innovative drying area LED lights system V Dry is here to dominate the market.